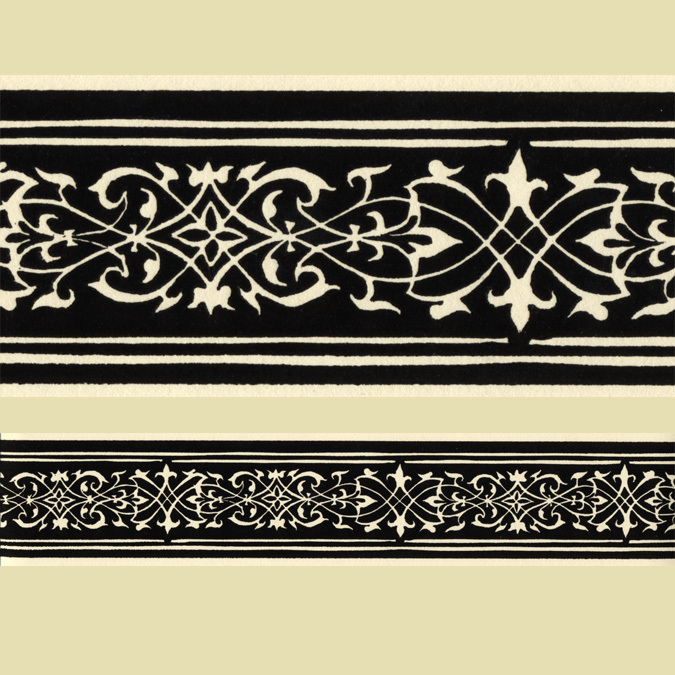 The use of hand-printed papers on Flemish harpsichords dates back to the 1500s, when they were employed as an inexpensive way to imitate the expensive Italian custom of ebony and ivory inlay work. There were several pattern books with designs by people like Virgil Solis, Balthazar Sylvius and Francesco Pellegrini, which were then copied by printers. I carve the designs (taken directly from the original instruments when possible) onto blocks of pear wood, and then print them using the same sort of printing ink that would have been used in the 1500s and 1600s; namely lampblack (soot) mixed with linseed oil. Several of these papers are available for sale. Contact me for prices and availability.